General Medicine – Flashy Aggro! Welcome back to the clinic! This week we’re taking a look at a deck that breaks the mold with what its colors can usually do. Our patient is a blue-white aggro deck featuring Raff Capashen, Ship’s Mage as its commander! The deck, submitted by reader John, is chock-full of legendary creatures and artifacts to make good use of the commander’s ability and beat down our opponent with huge creatures! Before we get into the nitty-gritty of the brew, however, I want to expand upon the commander himself and his role in the format. Part of a cycle of two-color uncommon commanders released in Dominaria earlier this year, Raff Capashen, Ship’s Mage didn’t turn as many heads as perhaps Tatyova, Benthic Druid, or Slimefoot, the Stowaway, and the numbers thus far the numbers clearly favor the latter two. While both Tatyova, Benthic Druid, and Slimefoot, the Stowaway have over 300 decks to their respective names, Raff Capashen, Ship’s Mage isn’t even pushing 100. That said, he’s quite far a head of the least popular commander of the cycle, Rona, Disciple of Gix, who has but a couple dozen decks to her name. At the end of the day, however, numbers are just numbers, and we can for sure say that Raff Capashen, Ship’s Mage is doing some very unique things. 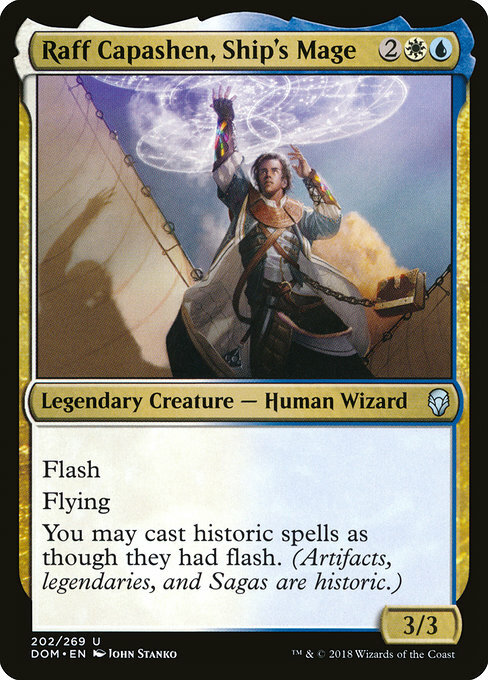 A 3/3 flier for 4 will never be very special outside of maybe some limited formats, but Raff Capashen, Ship’s Mage’s other abilities are way more relevant. Flash is quite powerful on commanders, and giving everything flash is very potent. A testament to this would be the popularity of Vedalken Orrery and Leyline of Anticipation, both powerful in their own right. In this deck, we’re playing enough historic spells to essentially turn our commander into one of these cards, but with flash tacked onto it! Personally, I think Raff Capashen, Ship’s Mage is a classic diamond in the rough. He represents a lot of potential, but I’d say he’s unknown enough to fly under the radar at most tables. Just the simple fact that he could enter play on the end step of our last opponent’s turn, then chain into something big and scary – given enough mana, of course – is potential enough in my book. He also messes a lot with combat just by sitting on the battlefield or – again, given enough mana – in the command zone. Link to the deck on deckstats: Click! First of all, I’m happy to see that John has sent in a decklist that is both very focused around the commander, and with a healthy amount of lands included! Honestly, I think we could shave off one of them, but we’ll get to that. We’ve also got a fair number of removal spells, and a sound number of them are sweepers. 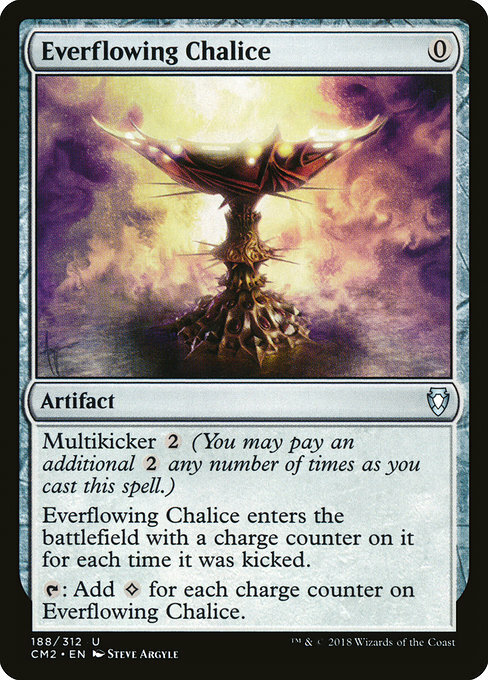 I especially like Urza’s Ruinous Blast in this deck – with our commander on the battlefield, it’s a five-mana instant-speed exile sweeper that leaves most of our creatures intact! Sure, it does also leave our opponents’ commanders alive, but in this deck it’s a fantastic spell. As a doctor, however, I can’t recommend going into battle with a mana curve that high and only seven proper ramp spells (8 if you count Jhoira’s Familiar). Other decks will leave you in the dust as you cast your first proper spell on turn four, after ramping on turn three. 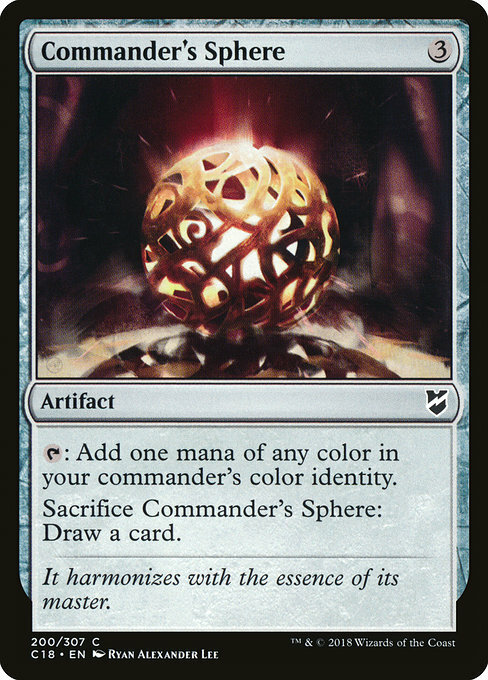 Blue-white does hurt a bit for ramp, but there are work-arounds well within our budget: Commander’s Sphere, Mind Stone, Everflowing Chalice… even Fellwar Stone and Star Compass could be fine additions to the deck. I think it’s fair to start out with a distribution of ten ramp cards and ten card draw cards in any given brew, and while John’s deck here is full of stuff that will let us draw if we count them all, a lot of them are conditional. Isperia, Supreme Judge and Nezahal, the Primal Tide will likely draw some cards, but it’s all up to someone else if they do or don’t. Azor, the Lawbringer can also draw cards, but we don’t really want to tap out on our own turn like, ever, in this deck. Arcanis, the Omnipotent is very powerful if you get to tap him more than once, but requires some babysitting to get him there. In order to both get us into the game and keep us there should we be hit with too many board wipes, we need unconditional card draw. We’re shaving off two lands here, but we’re going to add one in a minute, so the total will be 38. I think this is fine, considering that I am also going to add some more ramp cards into the deck. We’re also cutting back a bit on some of the more expensive creatures, so we’ll try to lower the curve a bit. I want to expand upon the cuts in order since I reckon they could seem counter-intuitive after what I discussed earlier. Imprisoned in the Moon, Time of Ice, Meteor Golem: These just don’t do enough in the deck to warrant a slot. The former looks so much better than it is, and it can be great for stopping some commanders, but most decks that rely heavily on their commanders will have many answers to this enchantment. It doesn’t synergize in any way with the rest of our deck. Similarly, Time of Ice doesn’t do enough when it hits the table to warrant a slot. Icing something is fine in some cases, but against three opponents it won’t be enough for four mana. Meteor Golem is a whopping seven mana to get an often irrelevant body stapled onto a kill spell, but even with Raff Capashen, Ship’s Mage in play it’s just too expensive to be that good. Burnished Hard is fine, but really slow and expensive, and while it helps us ramp into our bigger stuff, it won’t help us casting an earlier commander for example. There are better options for this deck, I believe.Ponder is merely a cantrip that doesn’t synergize with our commander or any other parts of the deck, and considering how we’ve got just a few shuffle effects, there will be many cases where we’re either stuck with stuff we don’t want on top of our deck after drawing a single good card, or we’re forced to shuffle and draw. In either case, it’s not worth a slot. Darien, King of Kjeldor, Oketra the True: Aside from Spear of Heliod, we don’t really have any ways of using these tokens, meaning both of these are often too expensive for what they do. Lavinia of the Tenth, Mangara of Corondor: I like both of these with blink effects, but since we don’t have that available to us, I don’t think either is good enough to run. So with these cuts in mind, what do we add instead? EDHREC’s Recs function provides us with plenty of good additions to the deck. 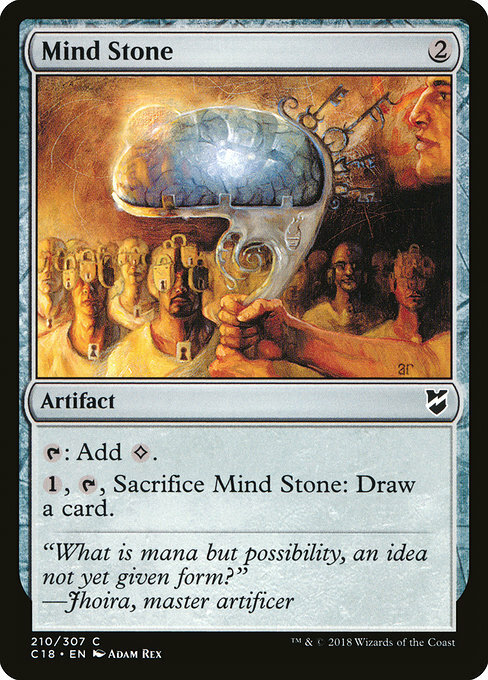 Among the top choices are several mana rocks, of which we will add a few, as well as control spells in Counterspell and Rewind. Among other historic cards suggested is the awesome Weatherlight, which truly belongs in this deck for flavor reasons if nothing else. The fact that it’s an evasive 4/5 that can be crewed by our commander by himself and that it also draws cards is just icing on the cake! Aside from the previously mentioned cards, we’ve got some extra card draw in Dig Through Time and Kefnet the Mindful. Mystic Remora is conditional and dependent on what our opponents are playing, but my experience is that people tend to ignore it for far too long. 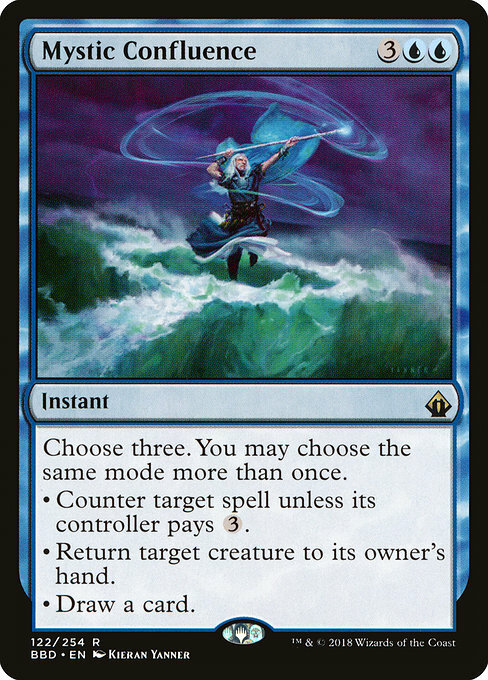 Mystic Confluence is super-flexible, which is perfect for this style of draw-go deck, and in a pinch it’s a draw 3 for five mana to refill our hand. Solemn Simulacrum is ramp and card draw on a stick, and it can be cast as an instant to block from nowhere, immediately replace itself, and get a land to boot! 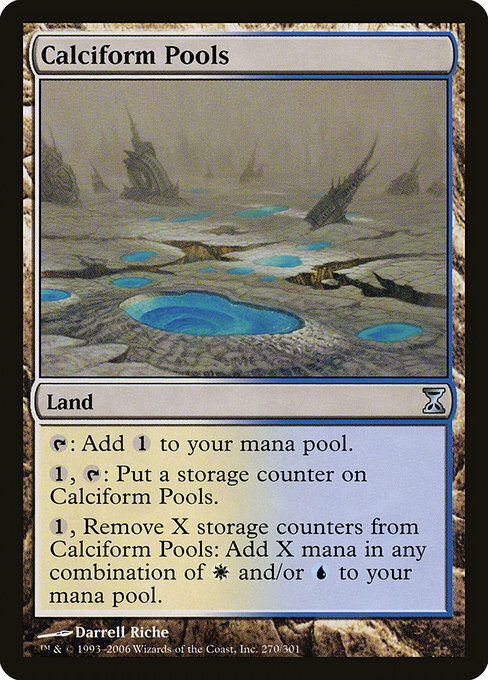 Calciform Pools is a card I really like in these kinds of decks, where you’re almost always passing the turn with a bunch of mana untapped anyway. 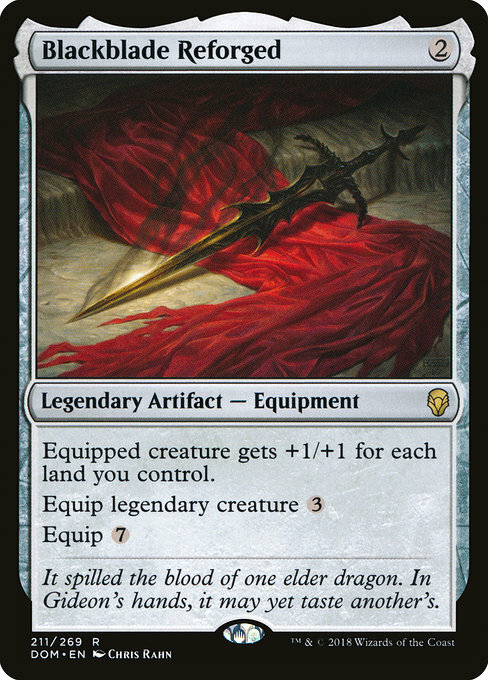 If you make it all the way around the table, you might as well use two mana to put a counter on this land, and eventually build up to a huge turn of casting more than one big legendary creature, or a big Sphinx’s Revelation. The manabase is definitely stable enough to handle another utility land as well. Finally, Blackblade Reforged is a beefy piece of equipment that will be easy to equip to a large part of our creature base and will grant a pretty big bonus to anything. The mana curve is a bit lower in this build than in the one John sent in; the average CMC is 3.85 rather than 4.03, so it’s still quite high, but not as much. In this variant, we’ve got more things to do early on, however, and more ramp, so we’re more likely to be able to cast our big stuff a bit earlier. Among cards I didn’t want to add due to costs is one standout star: Minamo, School at Water’s Edge. I love this land a lot in the format, and it would be awesome in this deck, but the cost is quite prohibitive. Maybe it’s something John could look to trade for in the future? Did I miss out on any cards? What cards would you consider for the deck yourself? Leave a comment below, and help John with his deck! Do You Want Your Deck Featured Here? General Medicine is a bi-weekly column where I take a look at your EDH deck, run it through our own EDHREC analysis, add some twists and turns of my own, and present your deck with an analysis for the world to see, right here on this site! Sound exciting? Want your sweet brew featured (as in, picked apart, analyzed, and written about – it’s not as scary as it might sound!) in my series? An easy to read decklist. Links to the usual suspects (TappedOut, Deckstats, etc.) are fine. A short description of your deck – how does it play? How does it win? What are your favorite cards? A short description of where you want to go with the deck – is it competitive? 75%? Casual? Are there any budgetary restrictions in play? If needed, a short description of your local metagame – are there any decks you’re looking to beat? Sign it with your name, but let me know if you want to remain anonymous or use an alias. Hold on to your Krark’s Thumb and hope that I will choose your deck! So far the response have been awesome and I’ve been getting a lot of submissions. If your deck isn’t featured in the very next article, fear not, it’s still in my log and I might get to it into the future! If your deck is selected, I will be keeping a copy of your deck as well as my take on it on my EDHREC deckstats profile. Let me know in your submission if you want to opt out of this practice! I am not using some sort of first-come, first-served policy, I am choosing the most interesting deck, and I am also looking at the best write-ups! Make sure you read the submission guidelines above, and take your time when writing me your e-mail; the better the write-up, the higher the chance I pick your deck! And if you’re not picked next time, fear not – I will be keeping any unused lists and write-ups in my log, from which I will pull the nuggets every other week. Robin started playing Magic in secondary school, around Urza block, and has spent his entire time in the game with non-rotating formats. In his past, Robin was a diehard competitive tournament player, but he has shifted to playing EDH/Commander and Limited almost exclusively in the past years. He works as a development manarger in charge of democracy development, and lives in Sweden with his wife and his daughter.